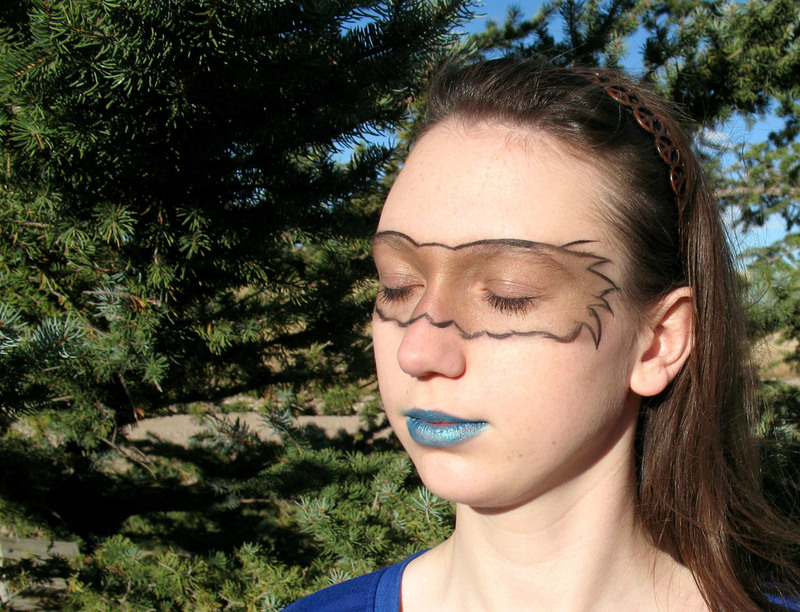 A student takes a moment from studies to show off this Golden Eagle inspired makeup. Homecoming is in full swing at Laramie County Community College! You may have noticed the special events being hosted around campus, many held in the student lounge. Students have been encouraged to participate in eating contests, timed competitions, team dodgeball matches and more. But maybe this isn’t enough for you to get into the spirit of being an Eagle. If that’s the case, keep reading for inspiration. Some students prefer to show their spirit in sublte ways, such as clothing or accessories sporting a logo. Others (like myself) may be open to more umistakeable gestures of enthusiasm, like face painting and hair dye. Sure, toole tutus in school colors are eyecatching and easy to DIY, but I prefer the makeup route when it comes to showing support for something I love. Cue the tattoo! The slideshow in this post will provide all the knowledge you need to create your own temporary “ink” for soccer and volleyball games, LCCC’s homecoming dance, and everyday fashion statements. Makeup is relatively inexpensive if you know what brands to look for and exactly what products you need. Especially if it’s for a onetime use like a pep rally, you don’t need to buy Sephora brand cosmetics. Makeup is also a household item that can be used on anyone, guys and gals, young and grown, for special events and on different areas of the body as well. For example, my models include both sexes, one sporting a prominent facial “tattoo” and the other a more sublte bicep decoration. Instead of clothes and accessories that usually come one way for everyone, makeup designs can be as discreet or as drastic as desired for each individual’s taste. The limit truly is your imagination, so the results are completely your own. Here’s a list of the items that I used for both pieces of artwork and thought you might want to include in your toolkit. You’ll also need a picture for inspiration. I just Googled images of golden eagle wingspans and found several useable photos to rely on for colors and shape. For the bicep tattoo, I found a great image of our lovely logo and went from that. Here is the link to my how-to slideshow. Directions are in the description box of each photo. And if you try out my techniques—great! Send us a picture in the comments below, or just share your favorite part of homecoming so far. P.S. I apologize if you have the Steve Miller Band playing in your head after reading this post. Here’s a link to the lyrics if you want to sing along! Who is Miss Stephanie McGee? 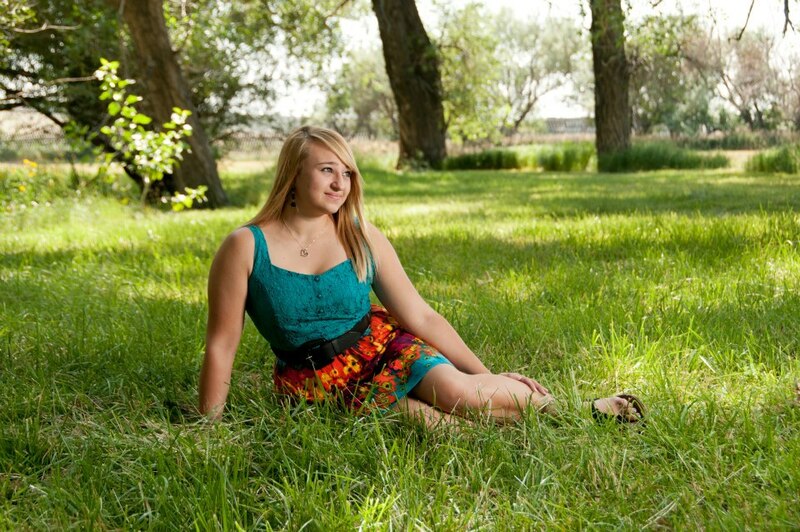 I am a full time student at Laramie County Community College, working toward my associates in multimedia. This is my third semester at LCCC and I am hoping to graduate fall 2015, (fingers crossed.) My original thought coming to college was I wanted to be a graphic artist. When I found out I had to take multiple media classes that were not just graphic based…let’s just say, I was disappointed. But ever since I have started taking these “extra” media classes, I have no idea what I want to do anymore! J. and Roz, these wonderful media instructors, have taught me so much in the past year that I now know I am capable of so much more than just graphic design. So here I am struggling with the same question our parents and teachers have asked us our whole lives. “What do you want to be when you grow up?” The answer…who knows! What is she all about? In the past couple years I have gone through some life changes that I never thought I would go through. Because of this, my mom and I have become very close and I wouldn’t trade her for anything. These changes have also allowed me to mature a bit faster than others my age and I now have a different outlook on life. I think I’m very conscientious of how precious life is and how quickly it can throw a boulder in your path, especially at times when it can be least expected. Other than that, I work at Crazy 8 in the Frontier Mall. I spend half of my free time lounging around with my eight month pregnant best-friend, and my seven month pregnant sister anxiously waiting the arrival of my two nephews. I occupy the other half with date-nights, going to movies, homework (of course), hanging with friends and just enjoying what life has to offer. Oh yeah, I love hockey! You can’t really get me to sit down and watch a full football game (and be interested). But hockey on the other hand I can watch. I love attending the Cheyenne Stampede games, but Colorado Avalanche is my NHL team. 27 days left! 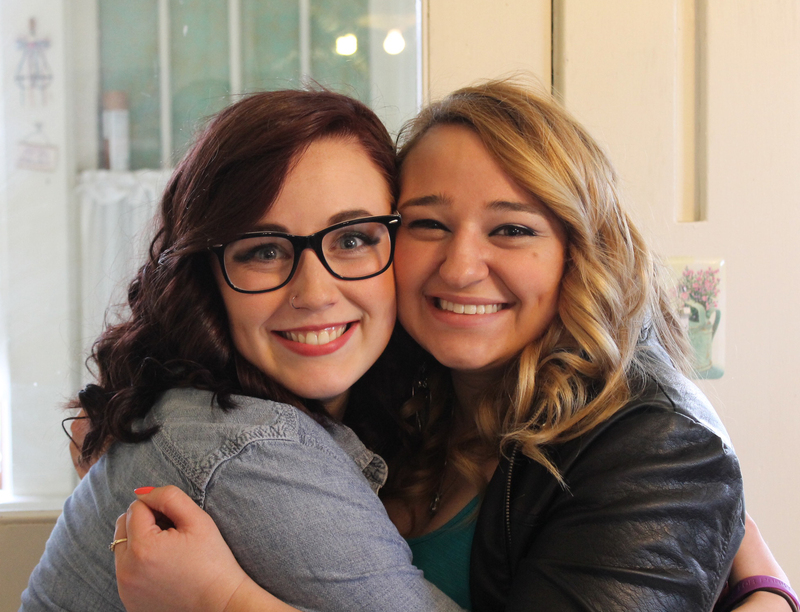 My eight month pregnant best-friend. I am going to try my best to keep up on my extravagant life. I enjoy being a digital artist so I will contribute some of my work that I want to share with you. From now, until Dec. 19th the Cheyenne Civic Center is holding its annual National Arts Program exhibit and contest. The National Arts Program® is available to City of Cheyenne, Laramie County, State of Wyoming (Laramie County), LCCC, Laramie County School District #1, Laramie County School District #2, Federal, VA and Warren AFB employees, their families and retirees.